Wedding season is in full swing. If you need proof, look no further than the celebs who have recently tied the knot. Amy Schumer married her beau earlier in February. And there’s the upcoming wedding of the year between Meghan Markle and Prince Harry. While an elaborate royal affair like one between Markle and the Prince takes months of planning, we can also dig a more laid-back vibe. Kinda like how Emily Ratajkowski recently got married in a Zara pantsuit at City Hall. Because hey, who needs a white wedding dress to exchange their vows? For women who don’t mind skirting the traditional white wedding gown, wedding jumpsuits are a perfect option. Just like dresses, they’re the perfect one and done piece. 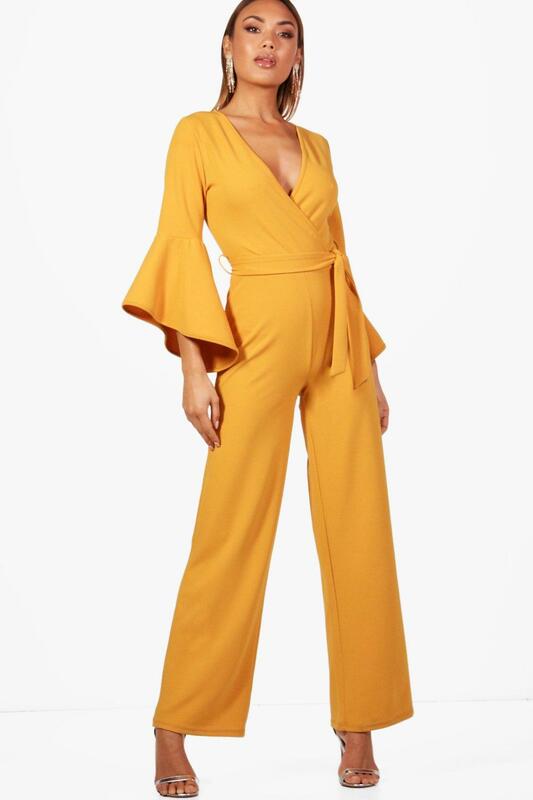 And wedding jumpsuits are just as versatile. The options range from a conservative high neck to plunging necklines. Also, who says you absolutely have to wear white? 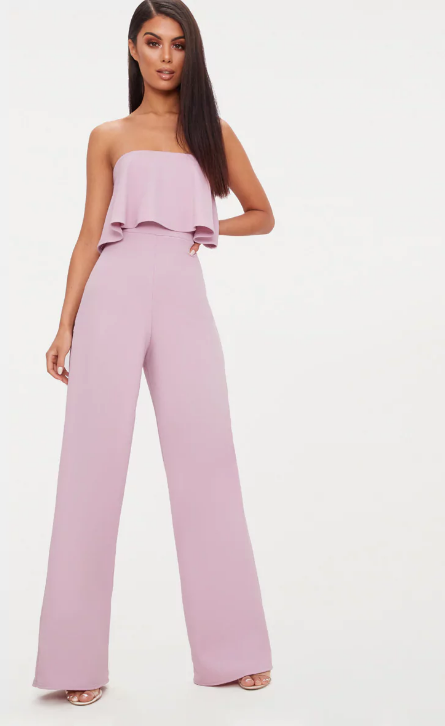 Blush is the 2018 color trend for wedding dresses, so why not try a colorful or even printed jumpsuit? And if you’re trying to stay on a tight budget (because the average wedding costs more than $30,000 — eek! 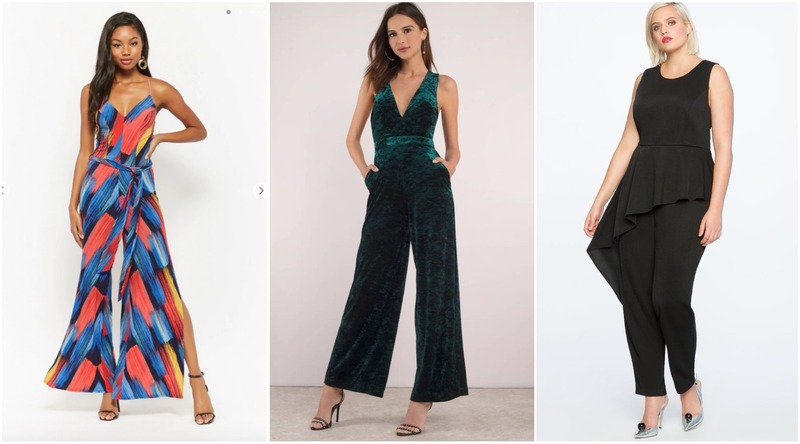 ), our wedding jumpsuit picks below are all super affordable. They start at just $24 and top out at 200 bucks, but are sure to turn heads whether you’re getting married in a church, on the beach, or at City Hall. Have fun with a bold color and fun flare sleeve. Texture is the name of the game for this velvet beauty. The cut and color are perfect for a blushing bride. What’s black and white and slays? You! It kinda looks like a pajama set, but this jumpsuit is ideal for a relaxed setting. Can’t you just see yourself wearing this printed jumpsuit on the beach? LBJ: little black jumpsuit (but with a fun peplum detail). This bold canary color isn’t for the timid. The winter white color gives this jumpsuit a traditional feel. The beauty of this jumpsuit is all in the details: halter neck, lace, and cut-out shoulders. Leave your guests green with envy. Ideal for a blushing bride who isn’t afraid of a little texture and a low neckline. If you have beautiful jewelry you’re dying to show off, the neckline and neutral tone make this jumpsuit the perfect foundation. All superheroes deserve a cape. 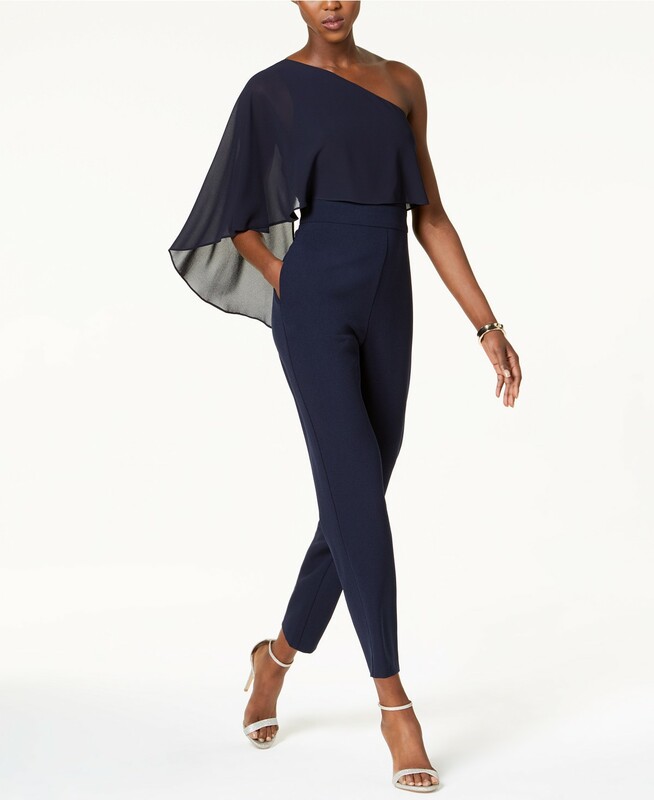 This isn’t your average wedding look, but it sure is perfect if you plan to dance the night away. Cheers to all the brides-to-be and those who rock whatever they feel.